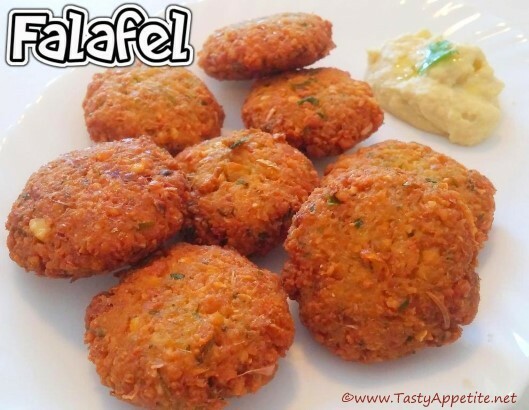 Here goes our delicious falafel recipe, which is a traditional Middle Eastern favourite dish. Its very easy to make this versatile dish at home. It is made from white chick peas, fresh herbs and spices. It tastes heavenly with crispy outside and moist inside with a tempting flavor. It is served best with hummus, (here's the recipe for homemade hummus), tomato salsa and green salad. Here's our tasty falafel video recipe..enjoy!!! Wash and soak chickpeas for 5 to 6 hours. Drain water completely through a colander. Add it to blender. Add salt, cumin pwd, baking soda, garlic, sliced onions and coriander leaves. Take a small lemon sized ball out of it as shown in above video. Drop in hot oil gently. Once the falafel turns crispy & golden, drain from oil. Crispy delicious homemade falafel is ready. It makes an excellent combo with evening coffee or tea.